For anyone sitting through director Terrence Malick's meditative "Tree of Life" thinking "I don't think there's going to be a car chase. Rip off!" - better hope you aren't seeing it in Stamford, Connecticut. 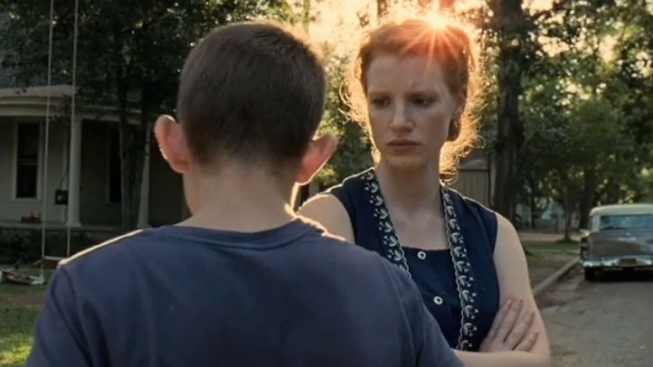 In response to some customer feedback and a polarized audience response from last weekend, we would like to take this opportunity to remind patrons that The Tree of Life is a uniquely visionary and deeply philosophical film from an auteur director. It does not follow a traditional, linear narrative approach to storytelling. We encourage patrons to read up on the film before choosing to see it, and for those electing to attend, please go in with an open mind and know that the Avon has a NO-REFUND policy once you have purchased a ticket to see one of our films. The Avon stands behind this ambitious work of art and other challenging films, which define us as a true art house cinema, and we hope you will expand your horizons with us. And "Sound and Vision" wept, I think was the last line. While we applaud the Avon, we have to ask: Who's going to an art house theater and then complaining that the film is too arty? It's not like they suckered you in by calling it "Tree of Life 3D: The Rise of the Carnosaurs." The Avon's gesture is a good one - smart, considerate. A plea to "open your mind." It's better than what the studio releasing "Tree of Life" is trying to do....which is suggest people see it stoned. "LA: are you aware Arclight Hollywood showtimes for TREE OF LIFE include a 4:20 screening daily?"